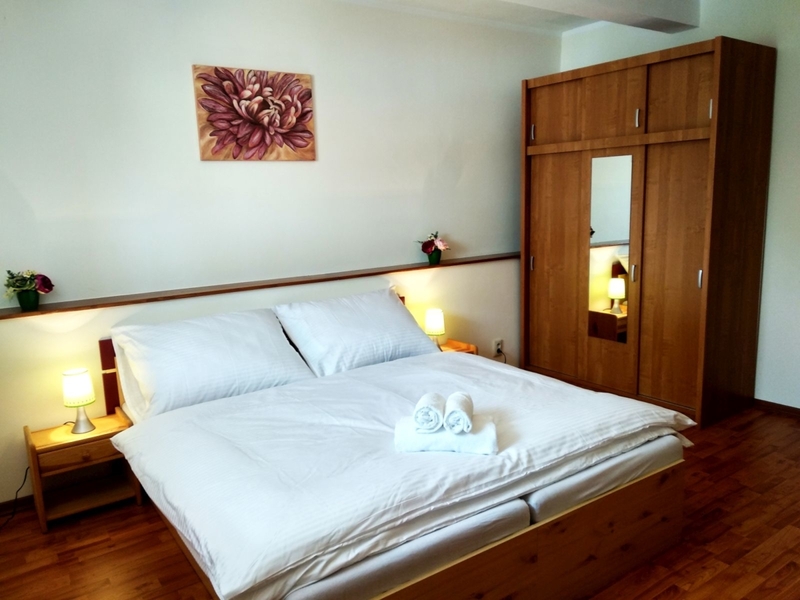 We offer you an accommodation in Double rooms with possibility to take an extra bed, Family rooms or Apartments. 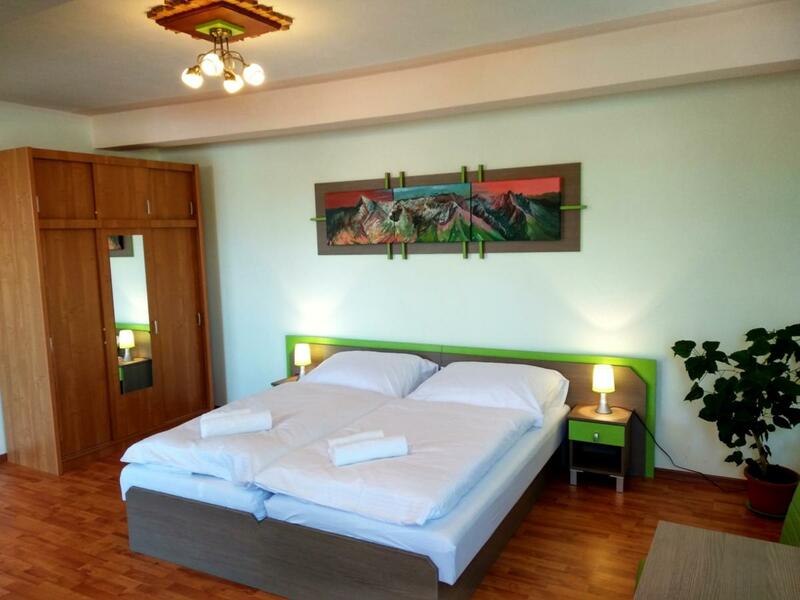 All rooms are equiped with: bathroom, TV. To your disposal is free WIFI too. On the 2nd floor is a small kitchen equiped with fridge, kettle and microwave suitable just for re-heating. 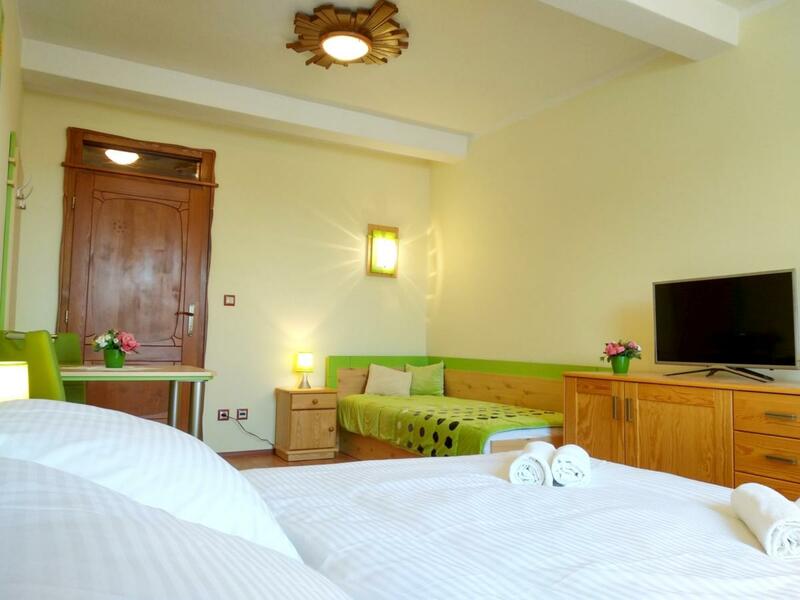 Accommodation is suitable for loved couples, families with children as well as business travelers. Upon request we have a hair dryer. After a challenging hike you can take relax in our wellness center – to stroll in the sauna or relax in the bubble bath. Children up to 3 years on parent’s bed free of charge. Cots available on request free of charge. Pleasant, spacious double room with a private bathroom. According request possibility to have twin beds. 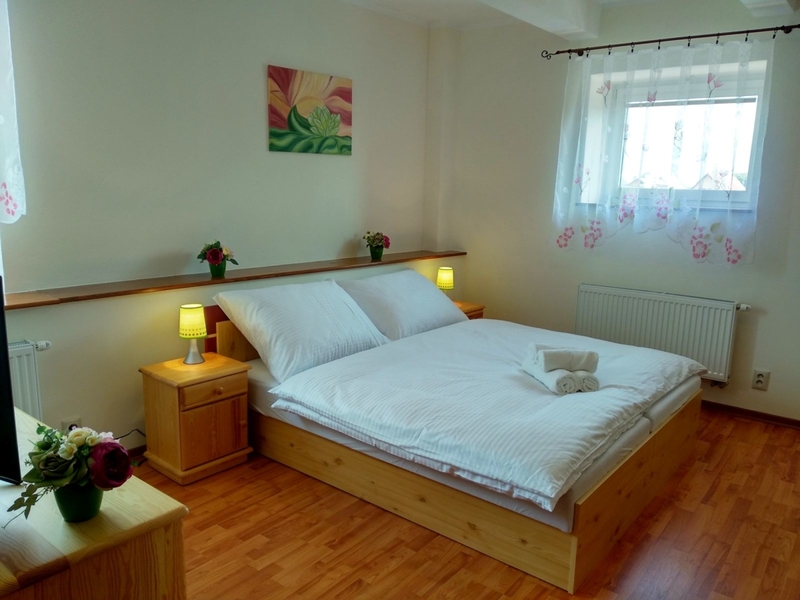 Usual double room with possibilty to take 1 extra bed. Family room is suitable for a larger family. There are 2 sleeping rooms and 1 bathroom to your disposal. Possibility to accommodate 6 person. For more demanding clients we offer accommodation in 2 apartments. Small one is for 2 person. Consists of 1 sleeping room, kitchen corner suitable just for re-heating, and bathroom with shower. Large one is for 6 person. Consists of 2 sleeping rooms, kitchen corner suitable just for re-heating, and bathroom with shower.